One of the nastiest (read: really good) blends to come out of our barrel program for some time. It’s a melange of 2 to 2.5 year old barrel aged saisons aged on Montmorency sour cherries, farmhouse saison aged on cab franc skins for 3 months and ~8% Riesling. 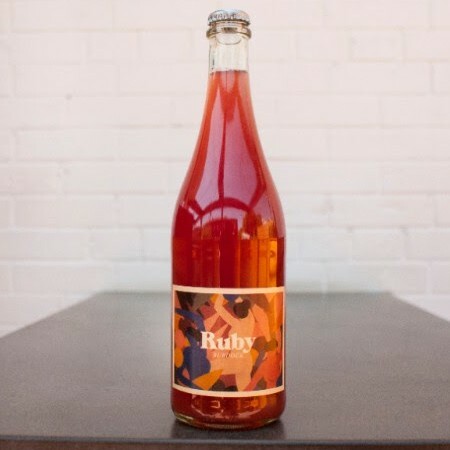 Ruby will be released today (Tuesday June 19th) at 5:00 PM in the Burdock retail store, selling for $24 per 750 ml bottle with a purchase limit of 6 per person while supplies last.